The Boston Redsox did the unthinkable and beat down the Houston Astros to win the American League Championship Series. You have to give Alex Cora credit for having the pulse of the Redsox team and making some really good decisions during this series. He was far from perfect thou. Alex Cora has to learn to allow hot pitchers to finish what they have started. If a starting pitcher can pitch more than six innings, you have them go as far as they can go. It is a learning process but Alex Cora has done a decent job to date. Right now, you have to love how Eovaldi and Porcello have pitched in the playoffs to date. It is a pleasant surprise from both of these pitchers. The much-maligned Relief Pitching staff has done a solid job. Which is the main reason why the Redsox have beaten both the Yankees and the Astros? The main pitching stud Chris Sale has been lackluster at best. Which has not hurt the Redsox, which is a massive surprise so far this playoff series? 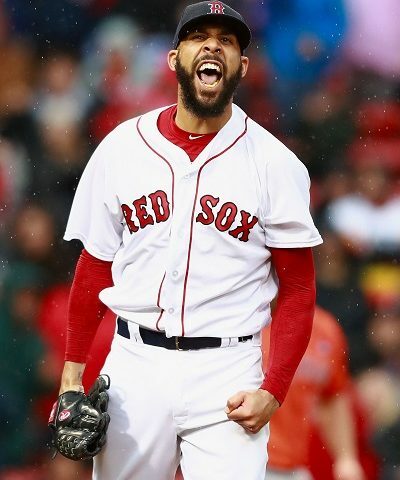 Then, you have David Price, who for the first time in a long time, pitched the hell out of a ballgame to get the clinching win against the Astros. His game 5 victory is what every single Redsox fan thought they were getting when the Redsox signed him to that very large contract. David Price is an infuriating player because he simply is struggling all of the time and his big fat contract simply makes it worse. One of the things that hit me while watching David Price’s game 5 victory is that he is like JD Drew. JD Drew was never worth the contract that he had but in a few spot games, JD Drew will get you that big win to get a World Series victory. That is what David Price is now and that is what we as Redsox fans have to accept about this player. David Price is going to drive us insane but he has a very good chance to get us a World Series Championship. Now that we are done with the pitching, the timely hitting by Devers, JD Martinez, Benintendi, Pearse, Kinsler, and Series MVP Jackie Bradley Jr has really put the Redsox over the hump in this series. You have to love the effort from Jackie Bradley Jr, who had an all-world series versus the Astros. Things are looking way up for a World Series Championship, now we need the National League Champion.